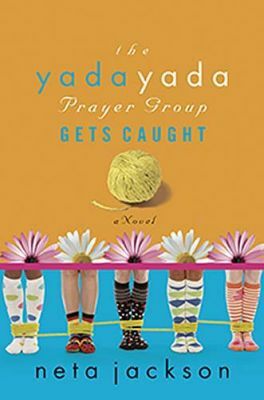 For the Yada prayer sisters, getting' caight up in troubles isn't the problem, it's how to get free. Ruth and Ben are caught in an unplanned pregnancy--in their fifties! Chanda is deluded by the glitter of her lottery dream come true. Florida wants to move her family, hoping to leave trouble behind, but it looks like it may catch up to her anyway. Avis is torn between honoring her new husband and helping her abused adult daughter, who keeps running home to Mama. And I'm finding that even good things like the prayer group can consume me in no time flat. If there is an upside, it's that all this trouble is revealing the subtle lies we Yadas believe about God, ourselves, each other and life. Maybe our best hope is to catch on to what God's doing--and catch on quick!--before the enemy can take any prisoners. That'd be a freedom worth celebrating. And celebrating is what I and my spiritual sisters do best!